Brandon University has identified various opportunities to grow its physical footprint to neighbouring or satellite sites, to increase the opportunities for the University and the wider community. The purchase of the Fleming School Site is an opportunity to increase and diversify student housing in close proximity to the campus. The presence of the Faculty of Health Studies Psychiatric Nursing Department on the Winnipeg Campus provides an opportunity fill a needed service for the community in the City of Winnipeg. The acquisition of the Brandon University’s Downtown Campus lands is intended to revitalize the downtown core as well as increase academic and community services and amenities for the City of Brandon. The aspirations of the University for all of its land holdings and satellite institutions, is to create quality and attractive environments to benefit the Brandon community and beyond, and to achieve its strategic academic, social, environmental, and economic goals and objectives. increased services and amenities such as a cafeteria, meeting and collaboration space, social gathering spaces, increased faculty office space. The Fleming School Site will be the location of new family student housing for the University. The site is within a five-minute walking distance from the Campus. Connectivity and ease of access to the site is an important factor in the Campus Master Plan. Consideration has been given to creating a clear view corridor along Louise Avenue to the Fleming School Site as well as recommending the pedestrianization of Louise Avenue as a connector through to the neighbourhood west. 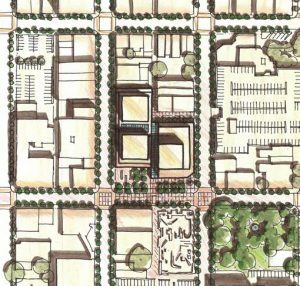 The University should collaborate with the City to provide wayfinding signage along Louise Avenue as well as streetscape enhancements such as street tree planting, and sidewalk improvements for ease of walkability. Brandon University has embarked on a path to establish a presence in the heart of Downtown Brandon. This will entail the acquisition of properties to form a consolidated parcel of nearly 70,000 square feet of land for future development. 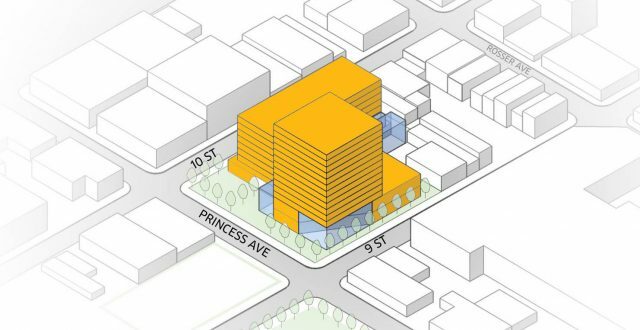 The land parcels are located on the 100-block within the Downtown core, between Ninth Street and 10th Street. This is an exciting development that will be transformative for both the University, the downtown area, and for the entire city. This new initiative opens the door to a multitude of opportunities including: advancing the University’s Academic Plan; enabling the implementation of the Campus Master Plan; and, meeting student and senior housing needs. This initiative will be catalytic for the future of downtown Brandon as it represents one of the most significant developments for the University and City in several decades. In 2016, Brandon University announced that the initiative to expand the University’s footprint downtown was approved by the City of Brandon and Renaissance Brandon. This initiative was sparked by the generous decision of Landmark Cinemas to make the former Strand Theatre available to the University, bringing all interested parties to the table to develop a collaborative vision for downtown. Brandon University has been serving the community as a post-secondary institution for over 115 years, providing education, amenities, and services. 2017 is an important year, as the institution celebrates its 50th year anniversary as a University. The initiative therefore has happened at an opportune time, as it represents an exciting new chapter in growth for the University that together with the Campus Master Plan, will play a key role in shaping a direction for the University over the next 20-30 years. It is also an important initiative for the City as the University will play a key role in revitalizing Brandon’s downtown. Working with the community, through the development of the BU Downtown Plan, the University will act as a catalyst for growth, innovation, and revitalization. 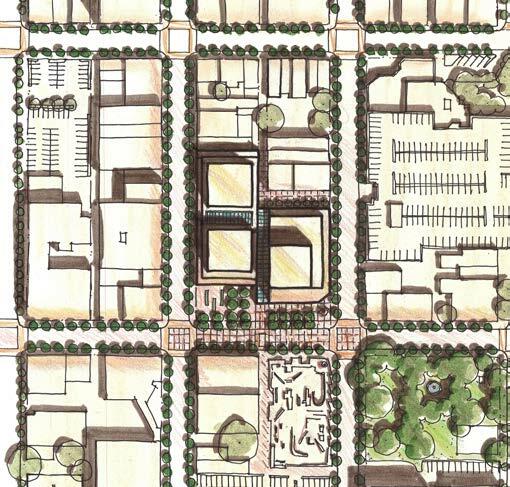 Create new uses and enhanced attractions to revitalize and animate the downtown core and to engage the community. Create new housing options to serve a diverse population and to foster a critical mass. Create incentives for downtown business development with new spaces for commercial businesses, incubator uses, and public market activities. Attract capital investment to the city and downtown. Address the gap in seniors and student affordable housing. Diversify the academic options for the University such as graduate and professional studies. Advance Brandon as a destination for arts and culture, post-secondary education, and vibrant downtown living.